In my quest to try all of the new restaurants in the area, I think I got all new-restauranted out. Between the reservations, wait, and busy restaurants, I'm kind of looking to go off the grid for a while. So I thought I'd try an old restaurant that has been in DC for a while that has had mixed reviews. 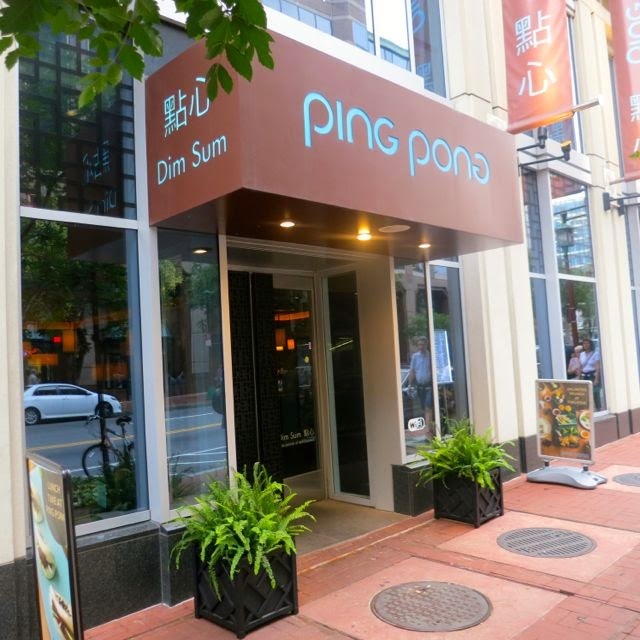 Ping Pong Dim Sum is an international franchise with two locations in the US -- both in DC. 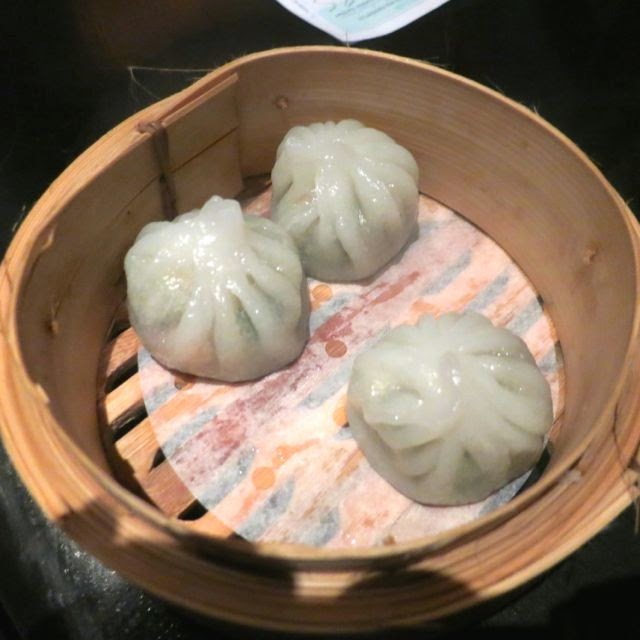 As I am not a dim sum aficionado, take my review with a grain of salt. I had already read through many of the reviews on Yelp that were both positive and negative so I felt I knew what I was getting into. 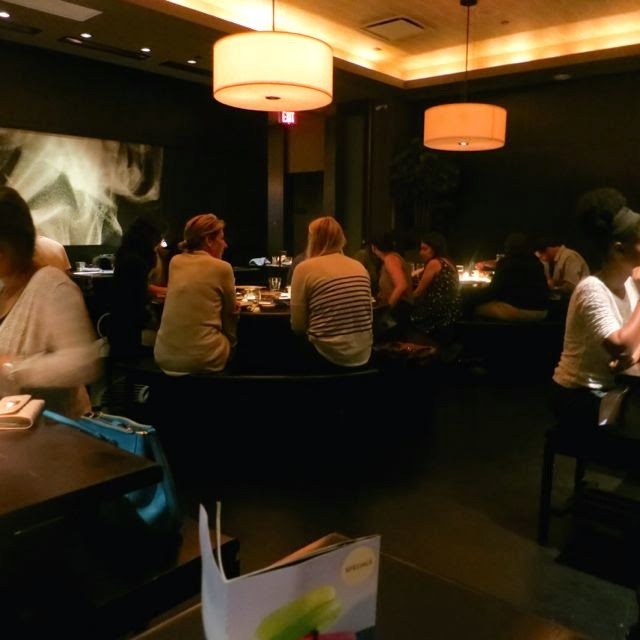 I booked a reservation the same day (this always worries me) and showed up on a Friday at 8 p.m. Given the availability, I was surprised at how packed the restaurant was. It was massive, with seating for at least 100 people. We were seated in the back room towards the back of the restaurant. The lighting was dim and the volume (of voices) was very loud. With dark brown wood tables, white lamps, and contemporary artwork, this was more of a trendy spot than a typical dim sum restaurant. 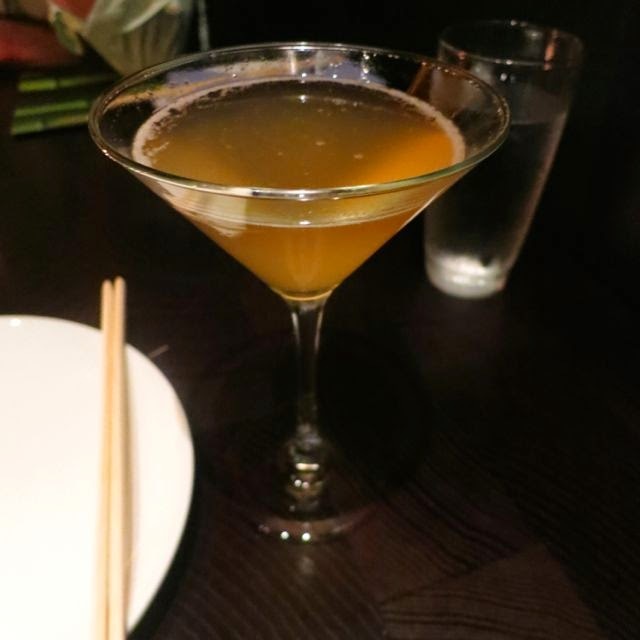 I started with the Serpent's Revenge, a sweet martini made with oriental apple infused vodka, captain applejack brandy, and an apple cordial. The idea is to order a bunch of small plates to share and I was very pleased to see that all vegan items were clearly marked on the menu. We ordered almost everything that was vegan so here's a full review. To start, the service was awful. There was one guy serving the entire room, he spoke very little English, it was so loud that it was difficult to communicate anyway, and he barely checked on us. So we can put that aside for now and talk about the dishes. Be aware that of the two sauces they give you from the start, only one is vegan. The other has fish sauce. The first dish we got was the best dish of the night (and the most expensive). It was the Stir-Fried Tofu and Vegetables in Sichuan Glaze. 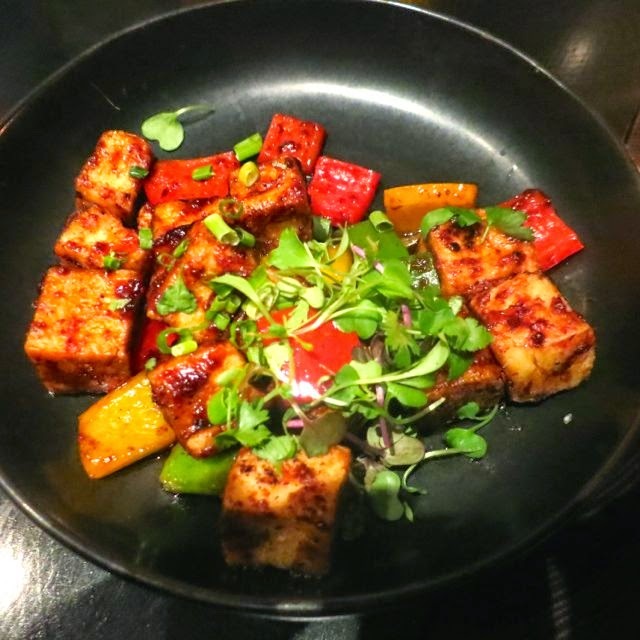 The crispy tofu was stir-fried with peppers, onions, and garlic in a sichuan soy glaze that was sweet and satisfying. My friend remarked that this was the best tofu he'd ever had. Next, we had the Spicy Vegetable Dumplings filled with vegetables, chili, and garlic. We really liked these dumplings and appreciated that they were actually spicy. Next, we had the Bok Choy Dumpling, which was my second favorite dish of the night. 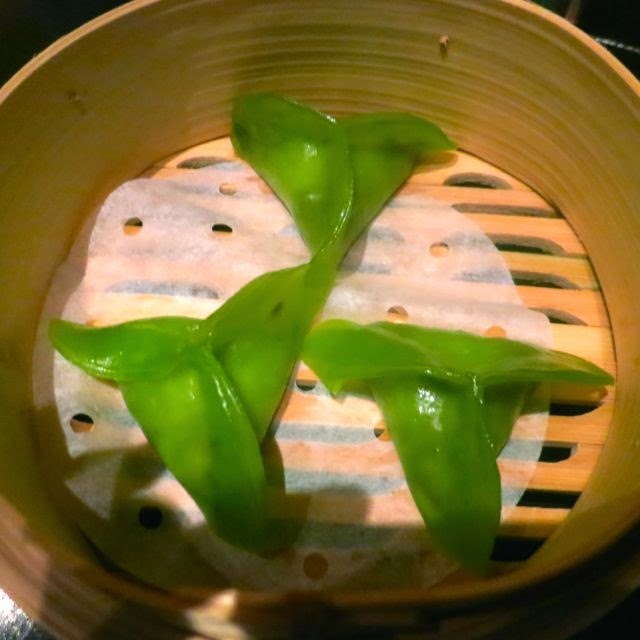 These soft, smooth, spinach wontons were filled with bok choy, mushrooms, and bamboo shoots. They were really good. Then, we tried the Vegetable Bun. We were not a fan of this one. 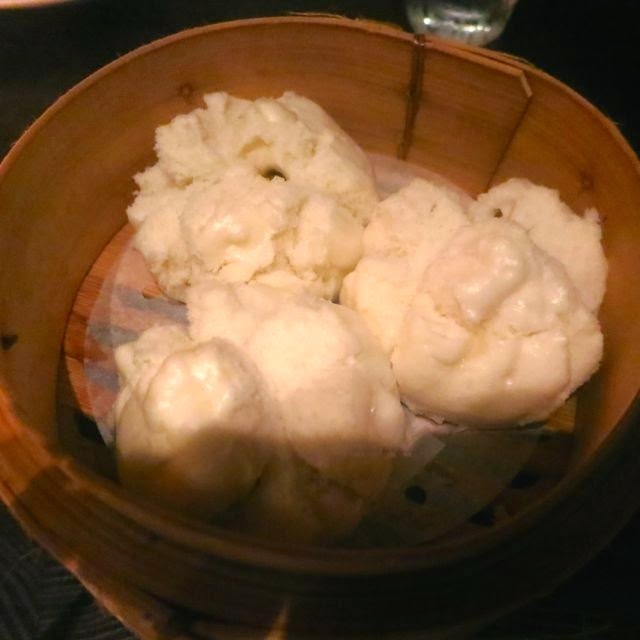 It was mostly thick dough filled with just a tiny bit of vegetables. Needless to say, we didn't finish these. 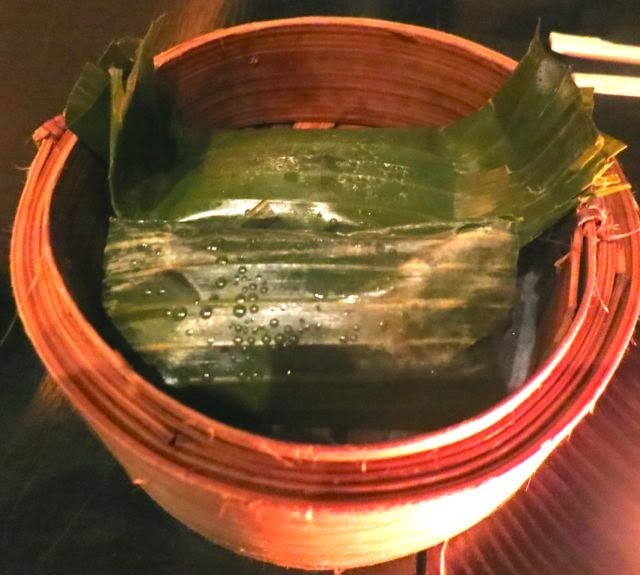 Next up was the Mixed Vegetables Sticky Rice wrapped in a bamboo leaf. This dish was pretty good -- just sticky rice with diced up veggies, but had a nice flavor to it. 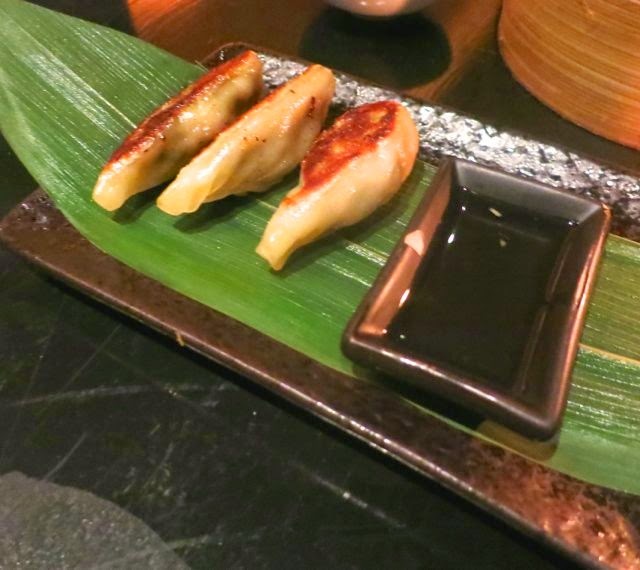 The Spinach and Mushroom Dumplings were just that -- griddled wheat flour dumplings filled with spinach and mushrooms. They were fine, but not that flavorful and the sauce they were served with tasted like vinegar. I chose to use the nice red sauce they provided instead. 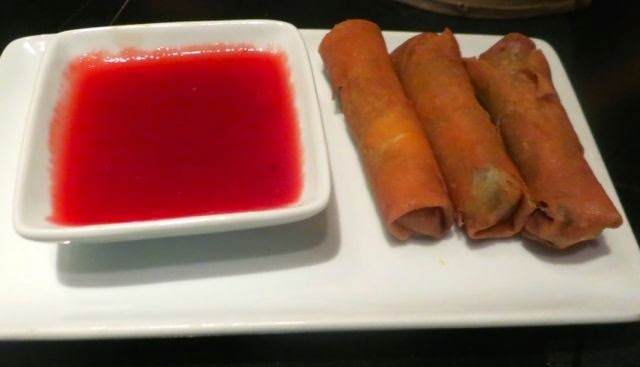 The Mixed Vegetable Spring Roll was so over-fried that it was inedible. It was way too crispy and tasted completely overcooked. 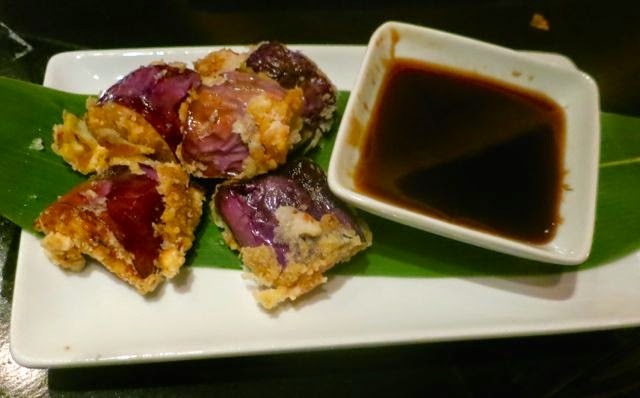 Lastly, we tried the Crispy Eggplant. It was a soft, sauteed eggplant with a crispy coating and hoisin sauce. It was fine, but nothing special. And I'm not a big fan of the sauce either. Again, I chose to dip them in the red sauce. As we were finishing the dishes, no one came by to clear the plates. We had to flag the waiter down for pretty much everything. So, all in all, some of the food was very good and some of it not so much, the service was horrible, and the prices were pretty high for what was served. The prices ranged from $11 for the tofu dish to $6 for most other things making a dinner for two $80 before tip. Also, most of the items came in threes making it awkward for two people as you have to split the third. Out of the abundance of tapas restaurants, I wouldn't rank this one near the top, but it is still a good option for Chinatown.